Juan and I really wanted to furnish our house simple yet well-designed AND of course our own flare (meaning cool). It’s going to be a small space so we need to make sure the things we buy fit AND are “multi-functional. 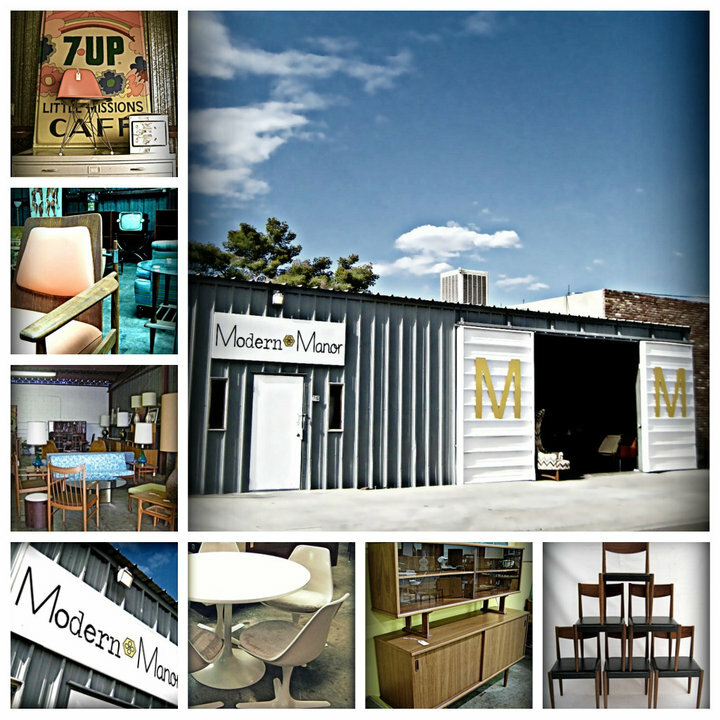 I’ve always loved the “Mid Century Modern” Style whether its houses, furniture and other “kitschy” style accessories. We stumbled upon a great shopping area here in Phoenix AZ. It’s on 7th Avenue between Indian School and Camelback (For all my local readers). It’s called the Melrose District and it is a smattering of vintage/retro boutiques, thrift shops and great ethnic restaurants. My love for mid century modern era furnishings I’m sure is due to growing up in the late 60’s-70’s. The first several weeks of “shopping” these stores, Juan and I found ourselves reminiscing and strolling down memory lane. Things like the big thick glass ashtrays in dark green or amber, the cool teak wood furniture that had great storage for every need. The bars…oh those fabulous bars with the leather trim and stocked with all sorts of wine and spirits. I can see my Mom and Dad dressed fabulously, Glenn Miller records playing on the stereo and the fondue pots simmering with broths, cheese and of course chocolate (for dessert) to plunge your favorite food in. Okay back to the present. So we are moving into a 900 square foot home and furniture today is typically oversized and overstuffed. So what to do? 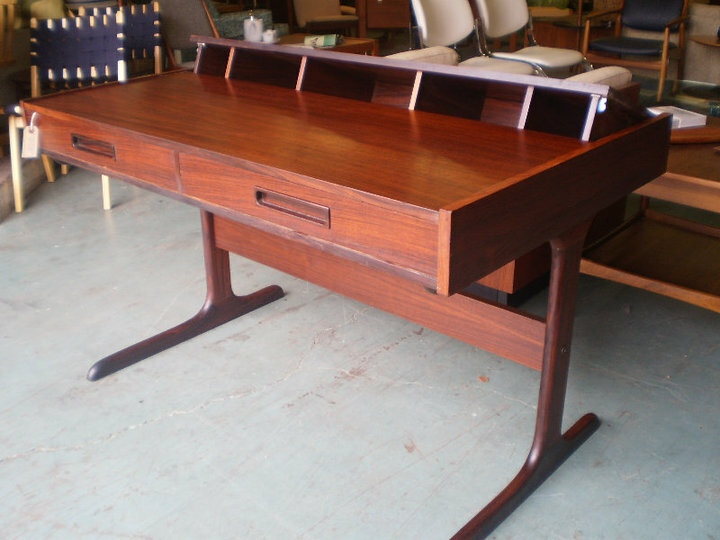 Go for the mid century modern furniture. Why? “It’s perfect for smaller spaces…sofas, bedroom suites, side tables, buffets and chairs, all fit perfectly!”- quoted from Doug from Phoenix Metro Retro based in Phoenix AZ. Eames, Arne Jacobsen, Harry Bertoia, Hans Wegner….All the cool pieces of furniture maintained all these years. 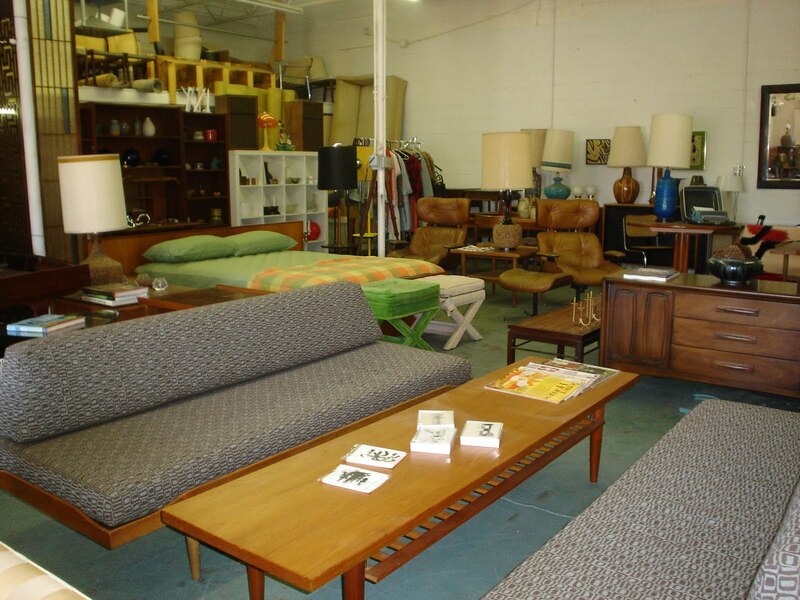 Well, with the help from Ryan & Kylie of Modern Manor and Doug & Heidi of Phoenix Metro Retro, two great places that find, refurbish and sell these mid century modern masters. 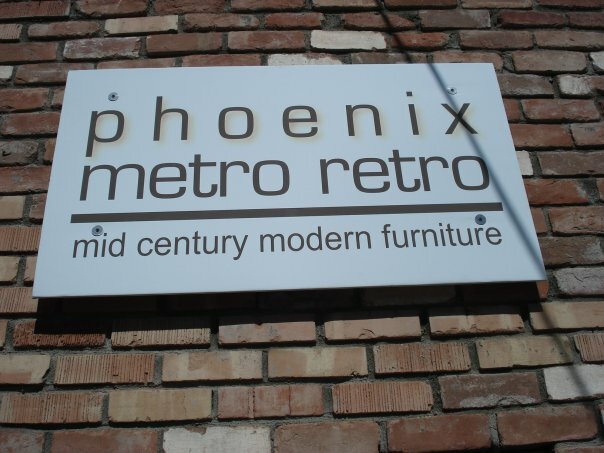 Modern Manor and Phoenix Metro Retro are side by side in the Melrose District. You can’t go wrong in shopping both places. 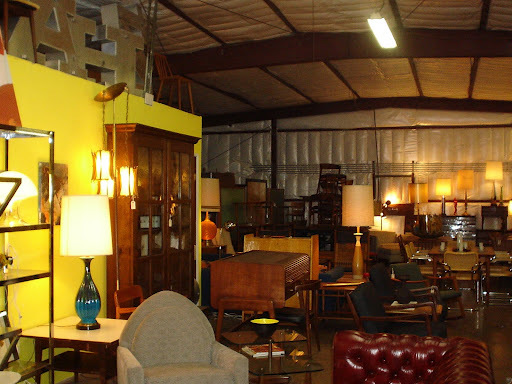 They have great finds from furniture to accessories for the home AND if there is something they don’t have, just let them know and they will keep an eye out for it and contact you when they do. At times, they will reupholster pieces to give it a new and fresh look. 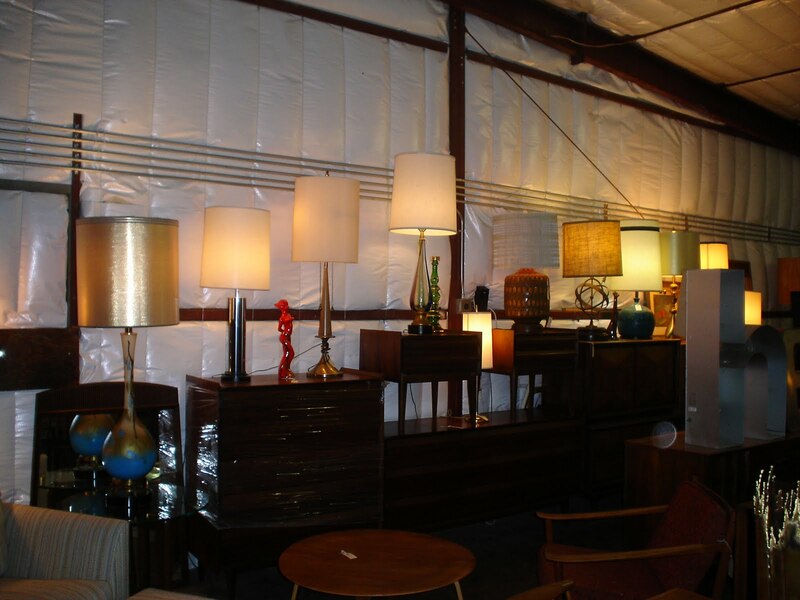 When it comes to anything mid century modern, you will be impressed with Ryan’s and/or Doug’s knowledge of architects, designers and fashion of that era. I always walk out of there learning something new. I’ve included their websites (click on the store names in the posting and it will take you to their website) AND you have to check them out on facebook. These links will take you to their facebook pages; Modern Manor and Phoenix Metro Retro! Next…What did we buy and how does it look in the new place?….